Terms* By registering, you agree to the terms of service. There are different types of doors used in building works classified based on placing of components, method of construction, working operations and construction material used. A door is an accessible barrier which is provided in a wall opening to give an access to the inside of a room of a building. The internal portions of a building are connected by doors. 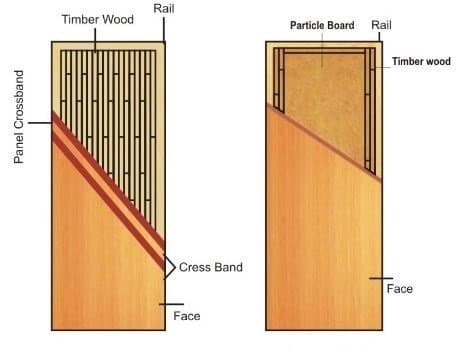 Battens are vertical bonds which are having grooves are attached together by horizontal supports called ledges as shown in below figure. General Dimensions of batten are 100-150mm width and 20-30mm thick. General dimension of ledges are 100-200mm width and 25-30mm thick. This type of battened and ledged doors suitable for narrow openings. 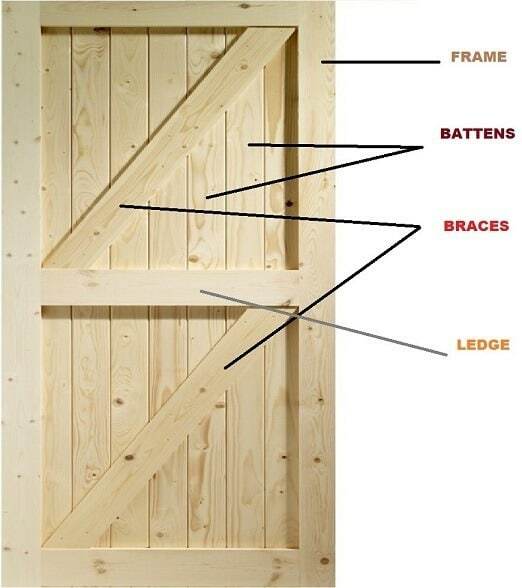 To make more rigid, braces are provided diagonally in additional to battens and ledges as shown in figure. Braces are having 100-150mm width and 25-30mm thickness are preferable. Braces should place upwards from handing side, then they acts as struts and take compression. 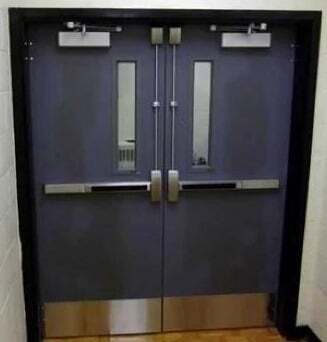 These type of doors can be used for wider openings. 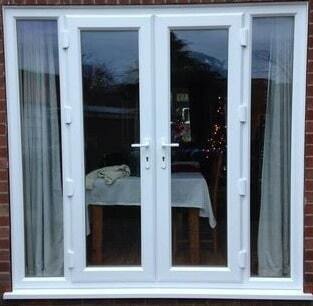 For the simple battened and ledged door, frame work is provided in the form of two verticals, known as stiles. Stiles are generally 100mm wide and as far as thickness is concerned, the thickness of stile should be equal to the combined thickness of ledge and batten. Preferably 40 mm. 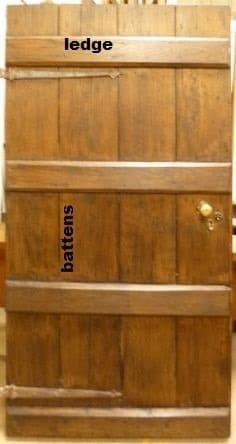 In this type, the door made up of battens, ledges, stiles and braces. So, it is more rigid. The braces are connected diagonally between the ledges, at about 40mm from the stiles. These are very strong and will give good appearance when compared to battened doors. 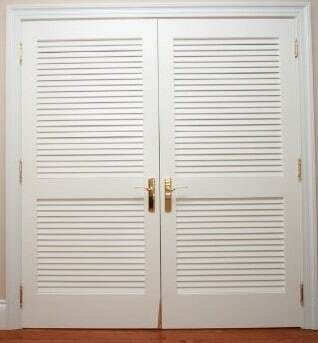 These are the widely used doors in almost all types of buildings. Stiles, vertical members and rails, horizontal members are grooved along the inner edges of frame to receive the panels. The panels are made up of timber or plywood or A.C. sheets or glass. These doors may be single leaf for narrow openings and double leaf for wider openings. Minimum width of stile should be 100mm and minimum width of bottom and locked rail should be 150mm. 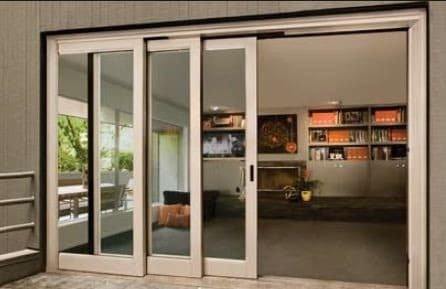 Glazed doors are generally provided in interior wall openings or in hospitals, colleges etc. The interior of room is visible through glazed doors and light also passes through glazed portion of the door. These may be fully glazed or partly glazed and partly panelled. Glass panels are provided for glazed doors. In flush doors, a solid or semi-solid or core portion is covered on both sides with plywood or face veneer. Now a days these type of doors are widely used because of good appearance, economic, ease of construction and greater durability. 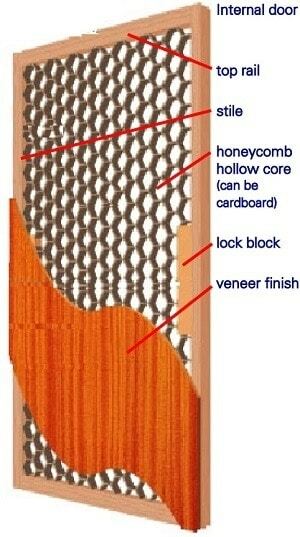 The core part in solid core flush door consists of core strips of timber which are glued under high pressure condition. Similarly in the laminated core, battens of 25mm width are glued under high pressure. These doors consists of wooden frame with stiles and rails for holding the core. Finally plywood sheets or face veneer and cross-bands are glued under pressure on both side of doors. In this case also stiles and rails are provided for frame. But, a minimum of two intermediate rails should be provided. 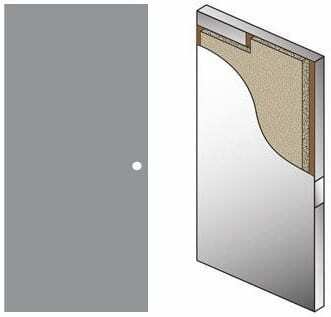 The inner space of door consists of equally space battens of width 25mm each. Other space is called void space which does not exceed 40% of the area of door. Here also face veneer and cross-bands are glued under high pressure. The louvers permit natural ventilation when the door is closed and also provide privacy in the room. These are generally used for toilets of residential and public buildings. The door may be fully louvered are partly louvered. 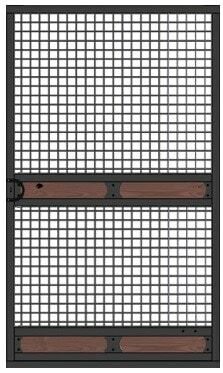 Louvers are made up of timber or glass or plywood and these may be either fixed or movable. Wire gaged doors permits natural ventilation and restrict the entry of flies, mosquitoes, insects etc.. 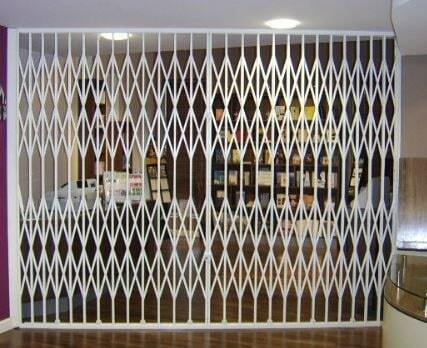 These doors are commonly used in hotels, restaurants and for cup boards containing eatables. 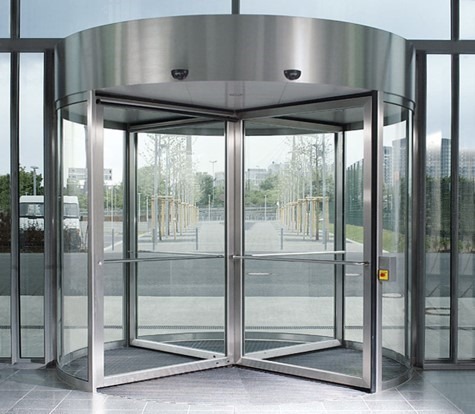 Revolving doors are only provided in public buildings like museums, banks, libraries etc., because of constant visitors. It consists mullion at its centre to which four radiating shutters are attached. In this type, with the help of runners and guide rails the door slides to the sides. The door may have one or more sliding shutter depending up on the opening available. In this case, the shutter is attached to frame by double action spring which helps the shutter to move inwards as well as outwards. 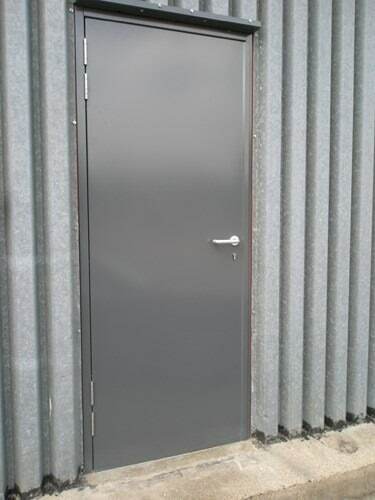 Collapsible steel doors are generally used for workshops, sheds, warehouses etc.. It acts like a steel curtain which will opened or closed by horizontal pull or push. Vertical double channel units of (20x10x2 mm) are spaced at 100 to 120 mm thick and are braced flat iron diagonals 10 to 20mm wide and 5mm thick. 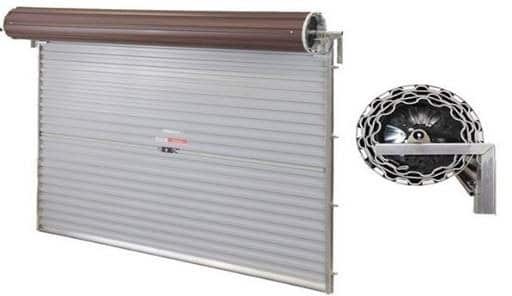 Rolling steel shutter doors are commonly used for warehouses, garages, shops etc.. These are very strong and offer proper safety to the property. The door consists frame, drum and a shutter of thin steel plate inter locked together. A horizontal shaft is provided in the drum which helps to open or close the shutter. Doors are made up of wood, glass, metals. Wood doors are already discussed in the 1t classification and glass doors are nothing but glazed doors. 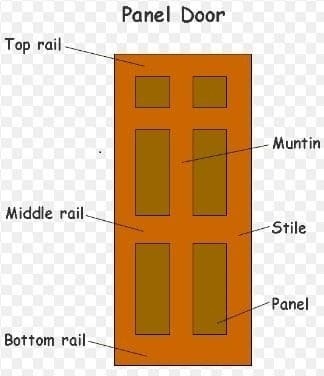 Types of Metals doors are described below. 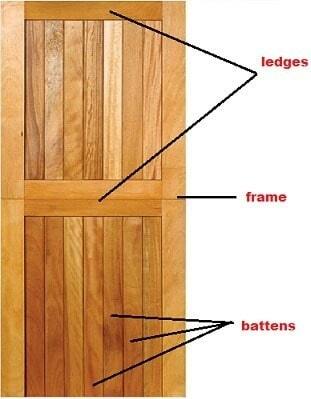 The door frame is made up of angle or T-sections. 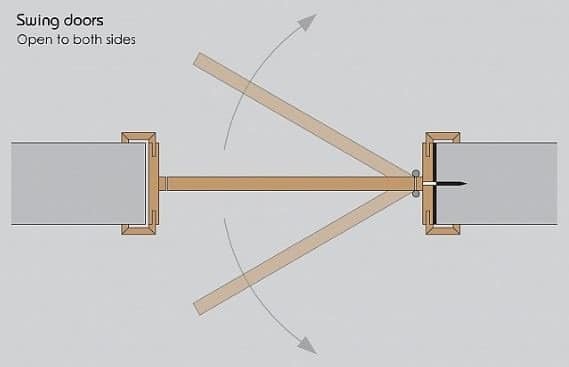 Shutter is made up of frame of angle of iron, having 2 verticals at least 3 horizontal. Mild steel plates are welded to the shutter frame. These are same as mild steel sheet doors, but in place of mild steel sheet corrugated steel sheet is welded. 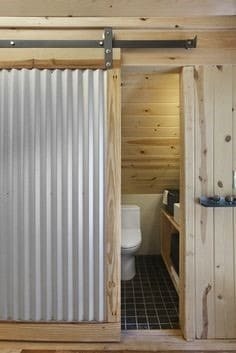 Hollow steel sections are used to make these doors. The rails and stiles etc., are strengthened by welding small T or I sections inside. This type of door is a composite construction of hollow metal door and wood door. The door is encased in tight fitting sheet metal, having tightly folded joints to exclude air so that the core of the door does not ignite. So, it acts as fire proof. Sadananda is a Civil Engineer and is an Author, Editor and Partner of The Constructor since 2016.